3dRose ct_164205_4 Green & Blue Cloud Watercolor Digital Art Ceramic Tile, 12"
Product prices and availability are accurate as of 2019-04-16 16:39:53 UTC and are subject to change. Any price and availability information displayed on http://www.amazon.com/ at the time of purchase will apply to the purchase of this product. 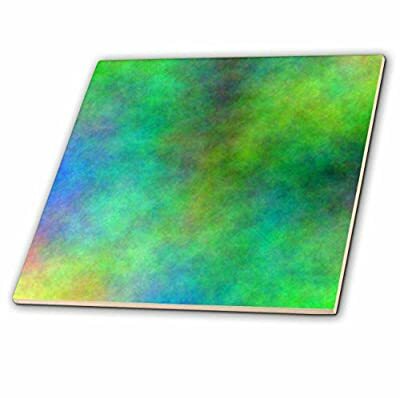 Green and blue cloud watercolor digital art tile is great for a backsplash, countertop or as an accent. This commercial quality construction grade tile has a high gloss finish. The image is applied to the top surface and can be cleaned with a mild detergent.